You are the best big sister ever! I could never thank you enough for everything you have ever done for me. Have the happiest of birthdays! I could have never had a better older sister, someone who, through good times and bad times, as always been there for me. I’ll always be there for you too. 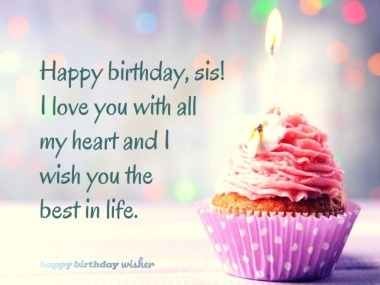 I wish you the warmest and happiest of birthdays, big sis! Having an older sister is twice the fun, twice the care and twice the wardrobe! Happy birthday! You were born several years ago, I won't say how many. 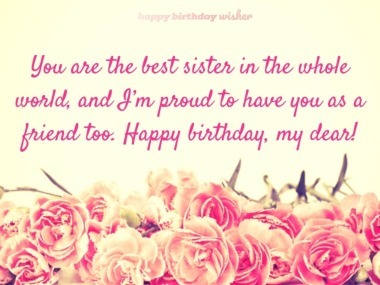 The world became a better place because of that and I gained a very naggy sister. Just kidding! I love you very very much! Today, tomorrow and forever. You are the loveliest gift I’ve ever received, and every day with you by my side is a blessing. Happy birthday to you! 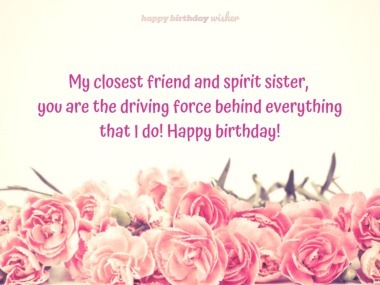 And thank you for being the amazing sister you are! 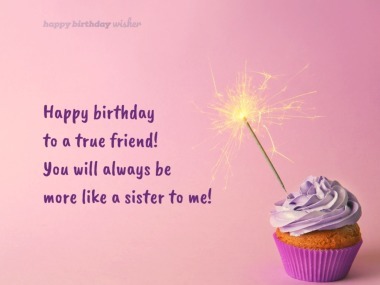 The most heartfelt wishes to my wonderful big sister who I love with all my heart! You have always been by my side and I could always count on you to be there for me. I know you have been through some hard times, but you never gave up. You are my idol and the strongest women I have ever met. You have such a positive approach and attitude. I wish I was more like you and never give up. No one understands me better than you, big sis! I hope you have a fantastic day and a fantastic year to come!